The New York-based trio Too Many Zooz came through town earlier this year, but since that time, the band has been plenty busy. 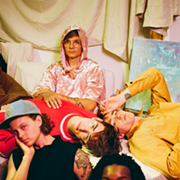 It teamed up with UK star Jess Glynne to record a new version of “Warriors.” The group, which describes itself as Brass House on account of the way it draws from hip-hop, funk and jazz, also went to Philadelphia where it filmed a conceptual, improvisational song and video for “Car Alarm.” The tune uses the alarm of a burgled car on a rooftop carpark as a metronome. 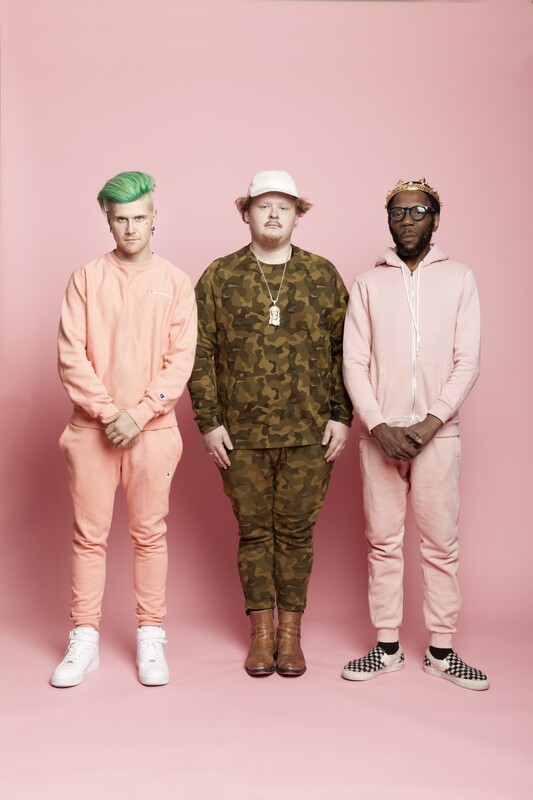 As the year comes to a close, Too Many Zooz has teamed up with the Brooklyn-based Turkuaz, a group that draws from funk, alternative, rock, R&B and psychedelia on its latest album, Life in the City. The two acts will hit the road next week for a short tour that includes a show on Friday, Dec. 28, at House of Blues. 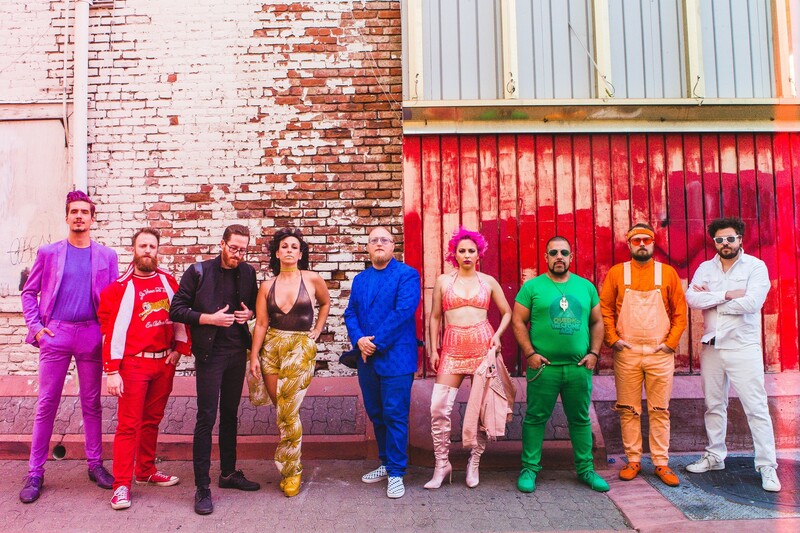 and Turkuaz singer-guitarist Dave Brandwein and guitarist Craig Brodhead spoke about what to expect from the pairing. How do the two bands know each other? Muirhead: I haven’t met them, but I know I have a bunch of mutual friends with them who play with them in various formats. I’m not sure how this run came to be, but we’re familiar with their music. It’s always fun for us to do things that are a little less horn-driven, and they’re doing a lot of rock and jammy kind of stuff. Brandwein: They’re also based out of New York here. We’ve heard about them for a long time and a couple of people in our band have seen them play before. We’re teaming up with them for this New Year’s Eve run, and we want to create a party atmosphere. It’s something we could accomplish with them. We wanted to team up with a band that would provide for a celebratory New Year’s Eve. It just worked out. We’re excited to do it. Brodhead: I know them more from the internet. It’ll be our first time playing with them at the show in Cleveland. We’ve managed to somehow not play on the same festivals and just haven’t run into each other, but we know a lot of the same people. It’s a three-piece versus a nine-piece. Do you feel that’s fair? Brandwein: Ha! They still generate plenty of sound. The band doesn’t really fit into one genre. Talk about your different influences. Muirhead: There’s three things that all three of us really like, and that’s hip-hop, chicken and basketball. We love all three of those things. As you can hear in the music, we have completely different upbringings musically. I grew up playing piano and singing in church and then got into jazz and got into hip-hop. [Saxophonist] Leo [Pelegrino] grew up playing with his dad, who’s an accordion player. When Leo was a kid, his dad would put on plays in Pittsburgh where he would play clarinet and was involved in Bar Mitzvahs and polkas and then got into jazz and hip-hop. We met at the Manhattan school where we were going for a performance degree and wandered off from that world. [Drummer Dave] "King of Sludge" [Parks] has studied African drumming from Senegal and South Africa. He was hugely involved in the punk and grunge scene in Portland and Seattle. We’ve had tons of different experiences. Our music isn’t necessarily what we would all listen to. It’s more like when we met and started playing, that’s what came out. Brandwein: The thing with having so many different people in the band is that we draw from such a wide swath of influences. We just released nine different mix tapes, one for each band member. There’s a huge variety of influences. We grew up listening to classic British rock music and then funk and R&B stuff later on. Brodhead: I think the funny thing that we have in common is that we didn’t set out to be in a funk band. We all felt that by the time we were doing it that it we were suited to doing it. Once I was in the band, people would hip me to records that I never knew about. I was always driven by that. Where we meet in the middle is what bands always try to do that. That’s funk music for a lot of us. When you want to listen to hip-hop, which artists do you turn to? Muirhead: When I started getting into hip-hop when I was a kid, I started with Biggie, and Tupac. I got obsessed with Rick Rubin. I got into Public Enemy and the Beastie Boys. Then, I got into J Dilla and Big Daddy Kane. As I started making records, I got obsessed with electronic music, which has so many hip-hop derivatives, which is why I gravitated toward it. That got me into Flying Lotus and that new wave of hip-hop. I used to not listen to the radio at all and now I listen to what serves the mass audience. When I was in middle school, I was way too into jazz to be into radio. I never dove into the stuff that was on the radio then, but now I love those early 2000 records, and I have playlists of my favorite songs and that ranges from the late ’80s to what’s happening now. Brandwein: On our previous record, a huge reference was Dr. Dre. That’s a huge record for all of us. All the staples are there. [Bassist] Taylor [Shell] is obsessed with Wu-Tang Clan. Brodhead: Funk music is that music inspired hip-hop, especially in terms of generating grooves and beats. I grew up listening to Outkast and everything from Mos Def to Wu-Tang. Even that stuff in its own way has worked its way into our music. Brandwein: And we like some of the newer hip-hop that tries to make the connection to older hip-hop. Kendrick Lamar certainly knows the tradition. I listened to lots of West Coast hip-hop before I listened to Zapp and Roger. It’s definitely come full circle. Talk about your latest album. What was your approach heading to the studio on the album? 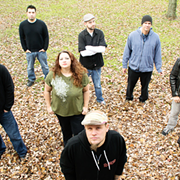 Muirhead: We just felt like we wanted to put new music out. We didn’t need a full release in a promotional sense. We didn’t know what we would do until we went into the studio. We found public domain stuff that we didn’t have to pay for and wanted to make it our own. It was a fun process. It was a different process for us because we almost never cover things. With [the new single] “Car Alarm,” that was a big challenge. That was all Leo’s idea. When he presented it to us, I wasn’t sure how the execution would come out. In the video, we have a direct operator. It’s all shot in one take. It’s kind of that Wes Anderson style. If anyone makes a mistake, you have to go back to the top and redo it. That makes it way more difficult, and the pressure is on. But it was fun. Brandwein: We were throwing out a lot of ideas to start out with since the last record was so stylized. When we went in on this one, we threw a bunch of demos out there. We have a bunch of material that we still haven’t released. The last one was really long and this one was shorter. The approach going in was that we wanted to experiment with different song ideas. Brodhead: I think the record before was a real undertaking. This one was too. That’s always the reference point you have. You try to learn and grow from that. The one before had 25 tracks or something. We wanted something more direct and concise. That was what we were after. We didn’t know how to achieve that. In the end, you just have to keep working on it, and that’s what you get. Talk about how the live show has evolved. Muirhead: It’s crazy because it’s one of those things that I’m sure if I watched our first show ever, I would cringe because it’s low production value. It’s been from making little changes every single day. When we’re in the van, we’ll review footage like we’re a football team. We’ll watch last night’s show, and if it gets to a point where it gets weird, we’ll stop the film and talk about how to correct that. We want to create a moment. Originally, our show wasn’t a show. We only had 20 minutes of material. We played that 20 minutes and just made up the rest. At this point, our show is way more refined. There’s still areas for improvisation, but we know what’s happening at every second. There’s more attention to detail now. In the new year, we’ll do a bunch of different stuff. It’s constantly getting bigger and better. It’s one of those things where you want to go back to cities and give a better show the next year. Brandwein: We have added a lot of instruments largely because of the way the records have progressed. Our live shows and our recordings are two very different things. With the previous record and continuing with this one, we started going for more ambitious arrangements in the studio. The thing with the live thing is that as much as we want to live up to certain recordings, we are also trying to do something unique. We want to expand things and open things up in different sections and go with what feels good. The albums have made us want to do more arrangement-wise. We don’t want to stick too much to what the album is. It’s still a high-energy show. That’s been consistent.